Aside from the Toronto Blue Jays’ magical playoff run last season, it’s been a dark period for baseball in Canada. It wasn’t that long ago when Canada had two Major League teams, supplemented by Triple-A teams in Ottawa, Calgary and Edmonton. The Wikipedia list of defunct Canadian baseball teams is a long and varied one, including the entire Canadian Baseball League. 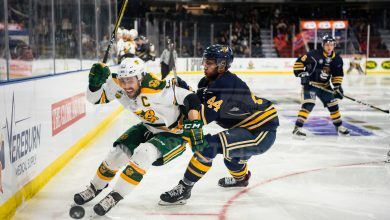 The league’s history reads as a sad lament to the state of the game in the great white north: It existed for only one season in 2003, only two of the eight teams averaged more than 1000 fans per game, with four of them averaging under 300 per game. The league’s All-Star game, which concluded the season, ended in a tie, and the home run derby that followed it yielded a total of zero home runs. The whole story reads as a sad parallel to baseball’s existence in Canada. Everything is temporary (aside from the Blue Jays, thankfully), and ends with a whimper. 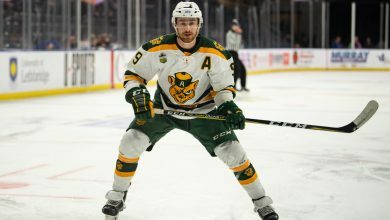 So when the buzz around bringing a team back to Montreal reignited over the weekend, you’d be forgiven for being more than a little pessimistic. Despite all the challenges involved, Montreal Mayor Denis Codere seems adamant on bringing professional baseball back to his city. He’s already met with MLB Commissioner Rob Manfred twice, and has the Montreal Board of Trade if favour the idea of bringing back a Major League team. On top of that, Montreal and Toronto recently signed a partnership agreement that focuses on different ways the cities can cooperate. One of the clauses in that agreement: A baseball clause. Toronto is now officially in on helping bring the Expos back as well. Just how realistic is an Expos return, though? First off, they’d need a new stadium. Olympic Stadium holds up fine for a couple of exhibition games each year, but is way too old of a building to withstand 81 home games during a regular season. Given the fact that baseball stadiums are tremendously expensive, and the current state of the Canadian dollar, that’s a tricky proposition. The new stadium movement has a website, which asks fans whether they’d like to “help partially finance construction” by purchasing either personal seat license or commemorative brick. Despite this, no ownership group has come forward to take on the task of building a new stadium. It’s mostly just talk for now, and Rob Manfred has stated publicly that he won’t consider anything until an ownership group comes forward with a concrete plan for a new stadium. The fans are clearly hungry for a return, but even if a team does return (and that’s a mighty big “if”), how long will a team be supported? The 1994 players strike prematurely torpedoed what was looking to be the finest season in franchise history. The team was leading their division at the time, and were one of the favourites to win the World Series. They also had the second-lowest payroll in the majors at the time, and the lack of a strong revenue sharing strategy after the strike hurt the team immensely. What followed was a fire sale of epic proportions. The team traded stars Ken Hill, John Wetteland, and Marquis Grissom, while also letting Larry Walker leave in free agency. Pedro Martinez, Moises Alou, and Mel Rojas left soon after, and fan interest dwindled, with attendance falling from an average of over 22,000 fans per game in 1994, to just over 11,000 in 1998. In the Expos final season in 2004, they averaged 9356 fans per game, by far the lowest figure in the league. By comparison, the Pittsburgh Pirates were the 29th place team in terms of attendance, and average over 16,000 fans per game. Fans had clearly lost interest. Once the initial excitement of getting a team wears off, will the fans support the team even if it loses? How long will Montreal fans put up with a losing baseball team? Will they be more patient than the first time around? The difficult thing about these questions is that they can’t really be answered until a team actually returns to the city. Further from that, will a rivalry between the Blue Jays and Expos actually be a positive thing? The two teams haven’t actually played nice through the years, with the Blue Jays mostly being the aggressor in the conflicts. When the Jays were rising to prominence in the mid 80s, and the Expos themselves were struggling, the Jays pushed for several Southern Ontario markets such as Windsor, Belleville, and most importantly, Toronto itself to be designated as exclusive broadcast territory for the team. Eventually, they got their wish, and the Expos had their broadcasting rights cut off for Ontario. They could broadcast 15 games per season for free, but had to pay for additional games out of their own pocket. For a team as strapped for cash as the Expos, this was another huge blow. According to Jonah Keri in his book Up, Up and Away, the Expos “miscalculated” by perceiving the Jays as an ally rather than a threat, and missed an opportunity early on to cement their broadcasting rights across Canada. Montreal and Toronto are allies for now, but negotiating broadcast rights will be important if the Expos are to return. Clearly the Expos couldn’t sustain themselves with exclusive rights just in Montreal and Atlantic Canada, so it may be a matter of how much broadcasting revenue Rogers will be willing to give up. If the two teams are willing to coexist, the Expos could thrive, but if not, their second stay in Montreal could be short lived, or nonexistent. There’s a lot of excitement around baseball in Montreal right now, and rightfully so, but fans should know that there’s still a long way to go before professional baseball returns. I will ignore your lengthy passage on the loss of the Canadian Baseball League after only one season. This league was so poorly organized that it is simply flawed to speak about it as a valid reason to say that the Canadian Baseball has had troubled days. Now, the famous broadcasting rights across Canada… Ah… the fact that the Expos lost the right to telecast their games in Ontario… Well, it’s like if you put the blame of the Tigers’ current television ratings problems to an agreement of exclusive TV territorial rights negotiated between Michigan and Ohio in 1984 while you could only get one game or two per week on air. It must be said that the interpretation of these broadcasting rights is misunderstood by many and especially is analyzed with our eyes of observers of 2016. When the Jays came into the picture – thanks to the support of Montreal, through Charles Bronfman and John McHale, by the way, who helped them in their quest to obtain a franchise – the Expos games were broadcast “coast to coast”. But what particularly irritated the Jays were to be outdone by the Expos in terms of television ratings in its own territory. The Jays were whining about the situation to the MLB and their lobby finally bear fruit despite opposition from Charles Bronfman. Then the Expos had no more the right to broadcast their games on TV in Ontario, but only a small portion of the territory. But, if you refer to the time, no team was broadcasting all his games on TV, so Bronfman concession was not so important initially. 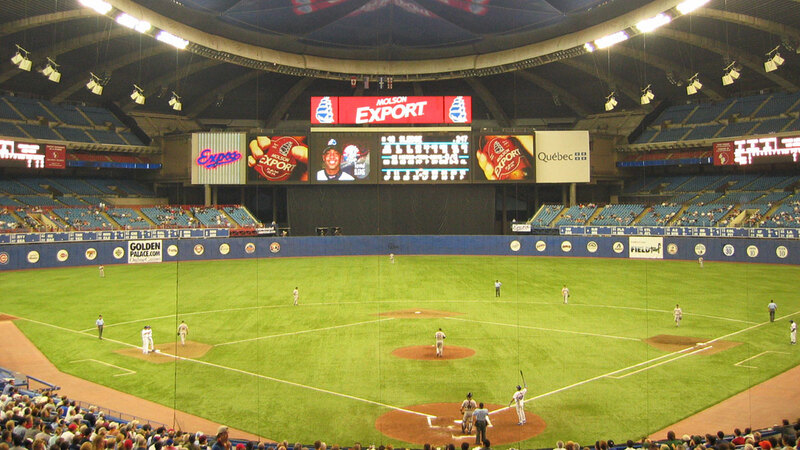 The negotiating for territorial rights between the Jays and Expos was like a rock in the shoes for Montreal. Certainly not a big deal. Nobody foresaw the emergence of sports channels at that time and even less of TV channels dedicated entirely to a team as its the case in some markets in the league, like the Yankees and their TV network YES. But all that TV right explodes after the Expos left Montreal, not before. And then, when the Expos will be back, it is clear that the territorial rights of broadcasting must be renegotiated with the Jays. But to claim that the Expos would be doomed to move again if their games couldn’t be broadcast at national level, it’s totally fallacious! Montreal is a market of over 4 million people. There are over 8 million Quebecois in the province. To believe that to survive a team absolutely needs to be televised to some 35 million Canadian in the country, it’s totally insane. By the way, how many markets in the league is broadcast to that many homes? And to understand the reasons why the Expos would be a success in the league today, you must understand the structure of the league itself. So, you got to understand that the MLB changes since 2004. It has evolved. You really think Kansas City would have won the World Series in 2004 in the parameters of the economic structures of the league at the time? You really think the Pirates, the Rays, the Indians, etc. would have reached the playoff in 2004? The league’s took its precarious situation in hand and they were able to integrate well all the teams in the last decade. Revenue sharing, luxury tax, etc., it all help the second half of baseball market behind the usual suspect like the Yankees, Red Sox, Dodgers, Cubs, Phillies, Giants, etc. But all that really starts after the whole Expos meltdown was way to far initiate. Though, if the Expos had been able to stay in Montreal until, let say 2006 or 2007, some local investors would have seen what the league became and the Montreal baseball franchise would have never left. Montreal never stopped loving baseball. Montreal sports fans felt betrayed. Betrayed by Claude Brochu and the rest of the consortium of shareholders of the Quebec inc. corporations who own the team in the 90s. Betrayed by Loria. Betrayed by our own local media. Betrayed by our own business people who have not risen to save the franchise. Betrayed by the league itself. So, with all those poor conditions, it’s practically a miracle that 10 to 15 thousand Die-Hard Fans has always showed up till the very end! Montreal sports fans have not stopped loving baseball. They were just disgusted to be the laughing stock of the league. When the Expos will return, it will be no longer the case! Under new circumstances within the new economic structure in the MLB, with an owner interested to put a winning team on the field, with 162 games on TV and Radio, both in English and French, and with a new ballpark, no doubt, the return of the Montreal Expos is gonna be successful! Bringing back a baseball team in Montreal, it’s absolutely not a “silly notion”. In the current economic system prevailing in the MLB, the return of the Expos won’t be a gamble. In the right circumstances, it is anything but a gamble! Like I said, it’s really not complicated. You only need three things: good owners, good venue and good support from the local media and it’s a success guaranteed! Rob Manfred already said that he views Montreal’s baseball loss as a tragedy. He’s a hundred percent right! It’s time to rectify the situation. It’s time to right a wrong! It’s way time to bring Major League Baseball back to Montreal! YES, YES AND OUI! Hit every point on the head!